This year’s edition of Northern Nights Music Festival (NNMF) was its fourth in existence and my third time venturing to the Redwood groves of Humboldt County. NNMF holds a special place in my heart, as it was the first festival I attended since moving to the West Coast in 2014. I am a huge fan of the festival and extremely grateful for the opportunity to cover it year after year. I met so many great people this year and reconnected with ones I don’t get to spend enough time with. One of the best parts about this year’s edition was it was the first time attending for many of those around me, including one of my best friends and associate of the blog – Bryant Roche Bernard (we call him Bernie). 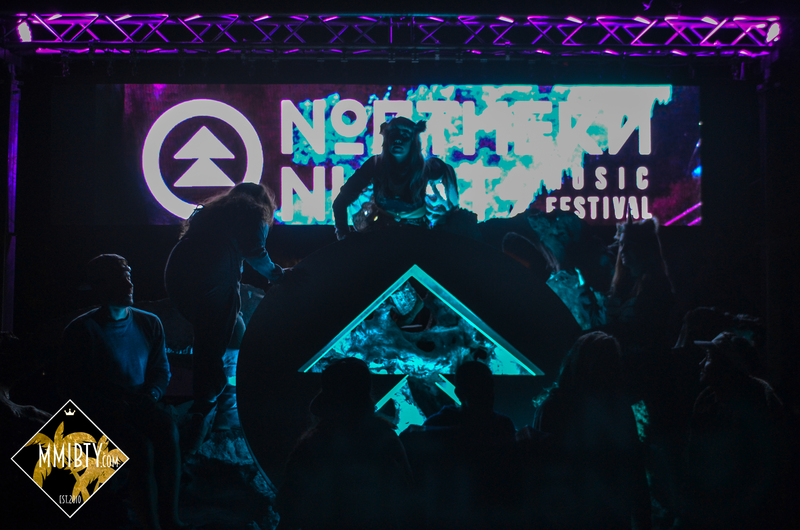 Because I’ve written at length about NNMF in the past, I wanted to provide readers with a first timer’s perspective – and insight into why you should absolutely attend next year (tickets are already on sale by the way – use code “NNMF5”). For that reason, Bernie will be recapping his experience below. 2.) The silent disco is one of my favorite parts about NNMF. I was, however, disappointed that the location moved far from the main stage. In previous years, the main stage would shut down and you would walk mere feet to the silent disco to keep things going. I felt the new location was a bit awkward and caused us to lose momentum on the night. BUT – big ups for getting Gorgon City to play! 3.) In my opinion the River Stage needs to do a better job of projecting sound onto the river so the people floating on rafts can hear music more clearly. 4.) Overall, don’t change any of the core selling points about Northern Nights: small, intimate, good music, serene Redwood Groves, amazing people, all around perfect vibes! The dust has settled, the ears have stopped ringing, and the floats have been deflated. This means another year of Northern Nights is officially in the books. As a first-time attendee, I went into the weekend with abnormally high expectations compared to most festivals I have gone to. Everyone I talked to about NNMF could not say enough amazing things: great music, amazing people and of course, the River Stage. My lofty expectations were far exceeded in what was truly one of the most amazing experiences I have ever had at a festival. First, let’s be honest with ourselves. Not all camping festivals are created equal. While they are not made for everyone, even those who do enjoy camping on its own can find camping festivals exhausting. The conditions of the campgrounds are often a huge question mark. Pairing this with the thought of waking up in a 100-degree tent after just a few hours of sleep can turn away even the most avid festival-goer. This is not the case in Cook’s Valley. Campers who are lucky enough to grab a spot in the Redwood Grove find their tents covered by the full shade of the stunning Redwood Forest. Those not lucky enough to find a spot in the Grove have a choice between camping on the shore of the river or the serenity of the meadow. While this may mean your tent gets a bit hot in the morning, it also means that you’ll be one of the first people floating in the river each day. Speaking of the river, The River Stage provides one of the most unique experiences of any festival. Part Vegas pool party, part “that lazy river you floated down in high school” this was the true highlight of my weekend. Bring your own float or make friends with a crew that brought a float large enough for a small army. Don’t forget sunscreen, squirt guns and drinks, maybe even a champagne-soaked watermelon if you’re feeling frisky. Some of the hottest musical acts including SNBRN, Lafa Taylor, Theory, SugarBeats, and Prince Fox provided the soundtrack to a river that is anything but lazy. Once nighttime falls over the forest, the main stage picks up right where the river left off. Gorgon City headlined Friday’s festivities, kicking off the weekend with a live set that included the breath-taking vocals of Lulu James and Josh Barry. There was no letdown Saturday as we were treated to one of the best acts in the game and a personal favorite, the one and only Griz. Known for his dynamic range, he mixed the signature Funk sound with great Trap drops that got the whole crowd moving. The real surprise came towards the end of his set when he busted out Dubstep banger after Dubstep banger, sending the masses into a frenzy before finishing things up with the horn-friendly favorite “Let Me Clear My Throat”. Sunday’s main stage lineup ensured that the weekend finished as strong as it started with one of 2015’s biggest breakouts TroyBoi unleashing one of the better sets of the weekend. The Main Stage closed out with the legendary Claptone playing a rare “Immortal Live” set. When the main stage sets finished, the party was far from over. The crowd flocked to the Silent Disco Stage, which had only just started. With two DJs playing hour-long sets that spread across all genres from House and Techno to Dancehall and Moombahton, there is truly something for everyone. While there were some stretches of mediocrity, you could usually rely on the trend of the blue or green headphone lights to help guide your channel surfing. Gorgon City followed up their live set Friday with an incredible DJ set, providing one of the few instances where everyone was dancing to the same color. Big ups to HUSHconcerts for putting together such a great experience. There is something to be said for California festivals. Raised on the East Coast, I had never experienced a West Coast festival before moving to San Francisco earlier this year. I found myself commenting to friends on the bank of the river that Lighting in a Bottle and Northern Nights had revitalized my perception of festivals. Over the past few years, I found myself getting tired of the often-amateur crowds that particular festivals can draw. While I will not judge someone for liking a particular artist, genre or festival, dealing with crowds that seem more inclined to be at a festival to “party” rather than to enjoy the music can become quite old after a while. In their own ways, Lightning in a Bottle and Northern Nights were able to restore my faith in the festival experience. And while I had high expectations for Northern Nights, I wasn’t sure if the festival could truly top the amazing experience I had at LIB just two months prior. However, the amazing crowd, the river and this truly unique experience in the Redwood Forest was able to do just that. There is something to be said for festivals that have you planning to buy your ticket for next year before the weekend is over. I hope to see you all in Cook’s Valley next year! PS – this was one of our favorite sets on the River all weekend. Check out DJ D’Vinity!